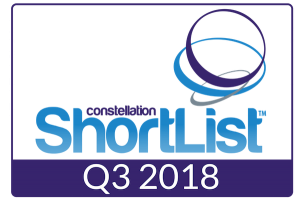 IRVINE, CALIFORNIA – August 23, 2018— SalesDirector.ai today announced it was named to the Constellation ShortList™ for Sales Productivity in Q3 2018. The technology vendors included in the Constellation ShortList offer the key requirements for early adopters pursuing digital transformation initiatives. Competing across 20 solutions in the field, SalesDirector.ai has been listed as one of just five recommended vendors; recognized for its ability to optimize seller performance and productivity. SalesDirector.ai is a conversational AI assistant that gives leaders the complete revenue picture and helps build a salesforce that scales. Reps get coached to success by receiving reminders for company’s best practices like identifying economic buyers, decision criteria and next steps. Interactions between sellers and buyers are automatically captured from email, calendar, SMS and call logs directly into the CRM, giving reps back their time while providing leaders with a second opinion on their current subjective forecast. For more information about SalesDirector.ai and the Constellation ShortList, visit www.salesdirector.ai.